Located on 10 scenic acres in the Chattahoochee National Forest near Ellijay, Georgia, The Log Cabin is the perfect destination for mountain biking and hiking enthusiasts. 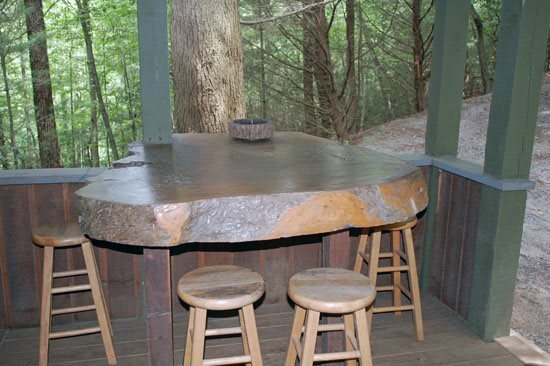 Guests can walk out the back door of this gorgeous rustic cabin and access hundreds of miles of excellent trails. Only a short walk from Tickanetly creek, the outdoor recreation in Northern Georgia can’t be beat. Don’t want to leave your pup at home? Pets are welcome at The Log Cabin. This charming rustic cabin can comfortably sleep 4 people. The cabin has one bedroom with a queen bed and a comfy futon in the living room. Guests love the fully equipped kitchen and the unique charcoal grill pit built into the wall that’s perfect for cooking up a delicious dinner. 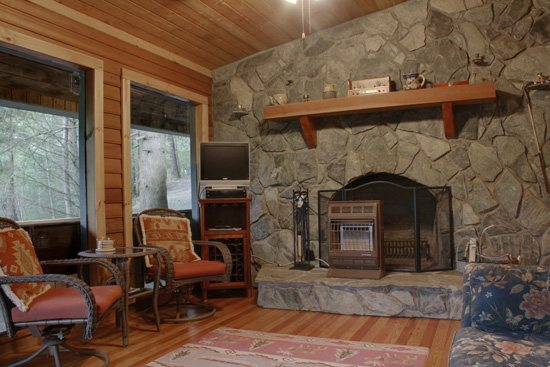 The Log Cabin also features one bathroom, two TVs, an enormous collection of DVDs for rainy days, and a spacious porch for enjoying the outdoors. 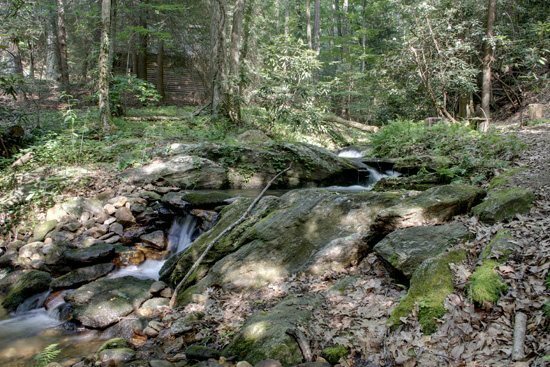 The Chattahoochee National Forest offers nearly a thousand miles of trails, clear streams, historical sites, waterfalls, and beautiful wilderness areas. Mountain biking, fishing, hiking, horse riding, OHV riding, and scenic drives are just a few of the popular activities in the foret. Amicalola Falls State Park is less than 30 minutes from the cabin, and there are multiple vineyards, restaurants, and shops in and near Ellijay. Regardless of whether you’re looking for relaxation or adventure, you will find it in this area. Ready to plan your Northern Georgia camping getaway? 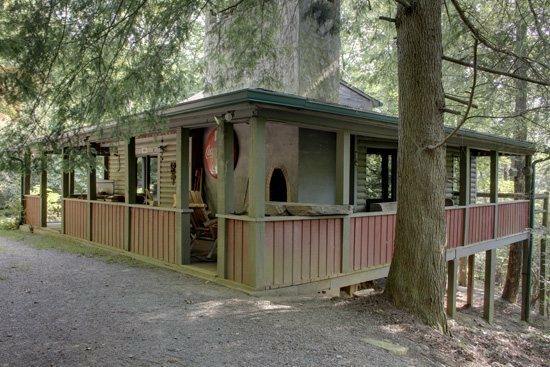 The Log Cabin offers beautiful accommodations in a picturesque setting. If you love hiking, mountain biking, and everything outdoors, this could be your perfect destination! Book your stay today on Camp Native.